Please like the page I am asking you to and spread the Good out there. We all have facebook, let’s use it for good. Join this event – Thank you Garbage Man. I wish to inspire the world and I wish to turn it up a notch and that’s why this page is created. 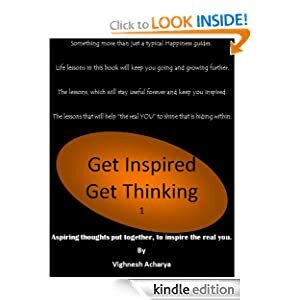 After a Good response on download for my book this page is created in order to keep coming up with more activities to spread inspiration and spread good out there. Let’s do it together. All suggestions are welcome just like “Thank the Garbage Man” if you have more ideas, please post there.